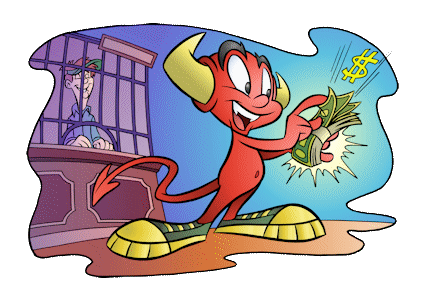 Let Betdevil help you become profitable or maximise your profits. You wouldn't buy shares on the stockmarket without the right information, then why do it on sports gambling. To become profitable at Sports Gambling, it has to be treated in the same vein as the stockmarket. Join the 5% of Gamblers who are profitable. Save valuable time by leveraging BetDevil's Data and Tools. Why spend time trawling through multiple leagues for the best bets when BetDevil can supply it in seconds. 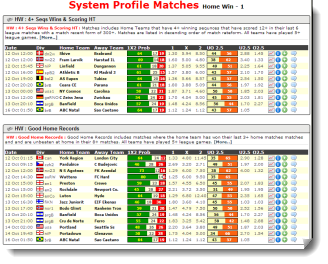 Customise your profiles to select matches to suit your betting strategy. 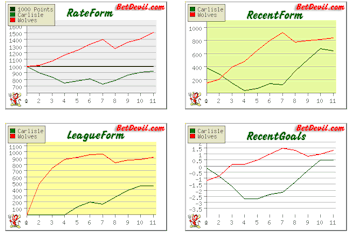 Get invaluable information on 50,000+ matches per annum via BetDevil's complete range of Tools. 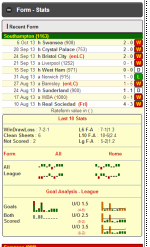 BetDevil provides comprehensive information ranging from enhanced statistics, % probabilities, rating systems, odds comparison, trend analysis graphs etc..
Get invaluable Team, Match, League, Odds and Trend Analysis Tools. 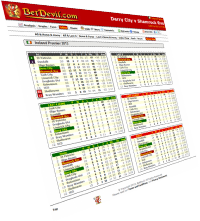 Find the best 1, X, 2, U 2.5 or O 2.5 Team/Match/League to bet on. 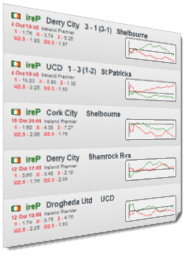 Alternatively, find matches via the Trend Analysis Tool, Sequence & Streaks Tool, Profiling Tools etc..
BetDevil's unique Profiling Tool puts you, the punter, in the driving seat, allowing you to easily retrieve matches that suit your betting strategy. The time saving Profiling Tool comes with 370+ different selection criteria ( Leagues, Stats, Ratings, % Probabilities, Goals Info, Sequences & Streaks and Odds) to choose from. Once you generate your Profile, you can back test your profile to see if it was profitable over the previous seasons. 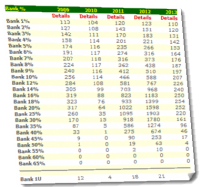 The Profitability Calculator is a totally transparent tool. The Top Profitable Profiles Table gives the user instant access to the top profitable private profile. Leverage the profitability of the existing shared profiles or take existing profiles and tweak them to make them more profitable. 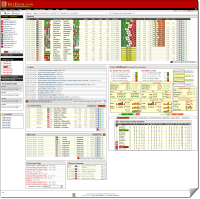 BetDevil provides an Odds Comparison service from Multiple Bookmakers and Betting Exchanges. Maximise your profits by betting on the best odds available. 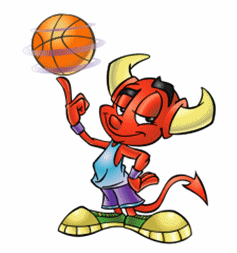 BetDevil enables punters to share picks via Event/Match and Market tagging functionality and Fantasy Betting Competitions. BetDevil users may also share information via the event/match comments section for each match. BetDevil's Fantasy Betting (PC, Mobile, Tablet) provides user with a monthly competition to gain free acces to BetDevil Subscription Memberships and to compete against each other and share picks. Your site is THE BEST SITE of the web !! I really enjoy your page. Thanks for your great work. The reason for this PN is that I'm writting a book about sportsbetting right now. This should also include a chapter about picking with your site betdevil.com. According to do this I want to take some screens from the match sheets to explain my way of interpret it. Anyway, you are my favourite site for/stats and systems. Go guys, continue in this way. If you could add also the feature described on 8. you would be the only site in the world (and surely the best)! This homepage is simply great, I can't bet without having checked the tables beforehand. Thank you very much for the service offered..and as a computer programmer I would love to become a member of your working team..please! 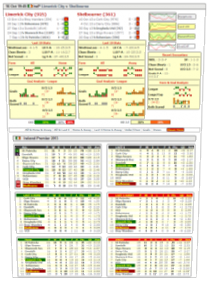 WIthout doubt, the most informative, complete and useful betting-related site I've ever seen. Superb job. Having only recently come across this site, I have been very impressed. It used to be the case of sitting a few hours every couple of night looking through stats and results to pinpoint good betting opportunities. I feel this site will now save me a lot of that effort, while hopefully maintaining a good return. I have not been a member long but the site has already helped me out considerable. Keep up the good work, Glad I came across the site.